Sunshine Coast Shade Sails custom-designs shade sails for the south-east Queensland coastal climate and lifestyle. 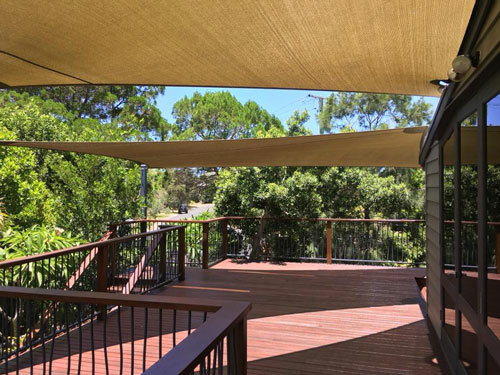 Our friendly, expert and resourceful staff will guide you every step of the way for a shade sail that is a precise and perfect fit for your space, purpose, lifestyle and budget. We specialise in domestic and commercial fit-outs, replacement sails and maintenance for existing sails, and DIY shade sails for the home handyman or handywoman. Whether your home, business or community organisation is in Doonan, Weyba Downs, Verrierdale or Peregian Springs, we have got you covered. 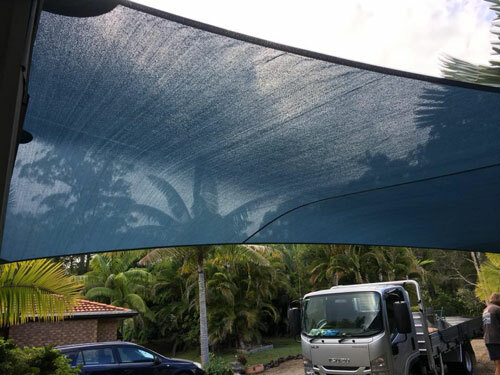 Sunshine Coast Shade Sails is a wholly family-owned and operated business located at the southern edge of the Sunshine Coast. As locals, we understand your needs and share your lifestyle. Many years of combined experience gives our staff and service the edge. Our resourceful and experienced staff will find a fixing point to secure your shade sail, no matter what your space. Brick walls, tiled roofs, metal roofs, wooden posts, rocky ground … we have the extensive experience to secure your shade sail. A dedicated machinist with over 20 years of experience hand-sews all of our custom-made sails, and we guarantee the cloth and stitching for 10 years. 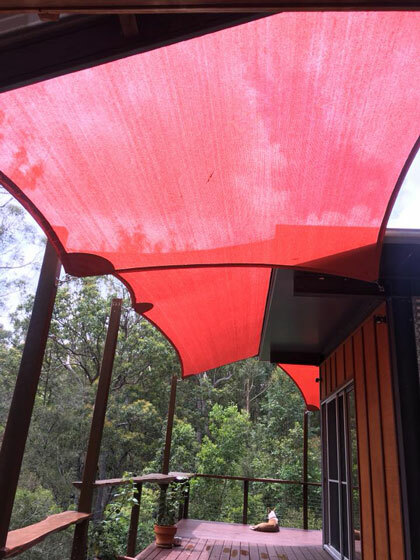 Residents in Doonan, Weyba Downs, Verrierdale and Peregian Springs know to contact Sunshine Coast Shade Sails for all their shade needs. Explore our extensive range of fabrics, colours and level of waterproofing and UV protection factors. durable: we are proud of the quality of our product, which is second to none and built for the harsh Queensland elements. We offer a maintenance service and information service to help you extend the life of your shade sail even beyond its 10-year warranty. Contact our expert, friendly staff for a free and obligation-free measure and quote in Doonan, Weyba Downs, Verrierdale and Peregian Springs.